Power BI admin role: Power BI Admin portal will have access to tenant-wide usage metrics, and be able to control tenant-wide usage of Power BI features. Public preview: Email subscriptions With Power BI e-mail subscriptions, you can quickly subscribe to emails of the report pages that matter most. Once subscribed, Power BI will regularly send screenshots of that report page directly to your inbox whenever the data changes. The image in your inbox will show up exactly as it does in Power BI, and include a link to the report where you can drill into any interesting findings. New APIs available for custom visuals developers: released version 1.4 of our developer tools and custom visual APIs. 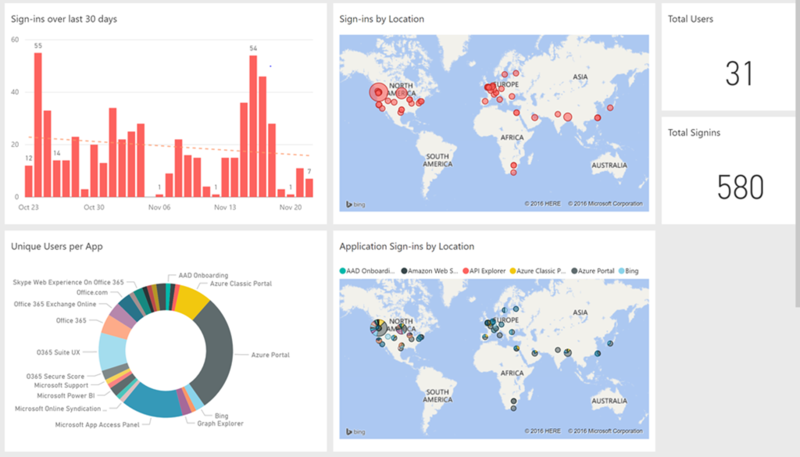 Real-time streaming generally available: announced the general availability of our real-time streaming feature set, which allows users to easily stream data to Power BI and announce that Azure Stream Analytics will now output to Power BI streaming datasets. 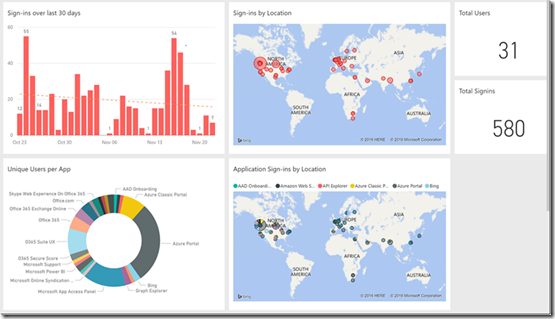 Push rows of data to Power BI using Flow: Simply create a Flow with the “push rows to streaming dataset” action and Flow will automatically push data to that endpoint, in the schema that you specify, whenever the Flow is triggered. New Microsoft Azure AD content pack:Quickly and easily understand how your employees and partners are using Azure AD. Use that information to plan your IT infrastructure and maximize business value.